The Mornington Peninsula plays host to vast variety of award winning wineries, fine dining experiences and casual dining options. Here are a few of our favourites. …contemporary cuisine from our talented chefs Charlie Yates and Adam Sanderson, attentive knowledgeable service, a wine list that’s been judged Australia’s best, and relaxed ambience with magnificent views over vineyards and countryside. …offers an exciting and imaginative menu of colourfully presented food which, with acclaimed wines, provides a memorable dining experience in a casual, open and elevated setting which provides expansive vineyard and valley views. …a refined space offering exceptional food and wine. The space extends to an expansive outdoor timber deck taking advantage of the sweeping vineyard and coastal views to Westernport Bay and Bass Strait. …warm, relaxed dining experience with seasonal local and estate-grown produce, cooked on our wood fire grill. The abundant seasonal produce is given top billing, and locally sourced meats, fish and fowl showcase the very best the region has to offer. …committed to an ethos that promotes a relationship between the landscape, the people and the produce. Our approach will be to offer fresh, textural & seasonal flavours with an emphasis on where the food comes from and how it is grown. 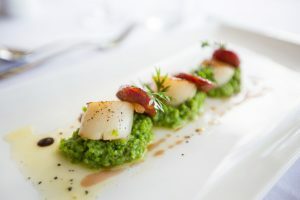 …recently refurbished and nestled at the foot of Red Hill, Stillwater has gained a reputation as one of the Peninsula’s finest, offering relaxed fine dining. The menu reflects the best of seasonal produce, sourced locally and organic where possible. …our menu is influenced by healthy, simple flavours from the Mediterranean and the Middle East and most items are produce driven – we change them seasonally depending on what’s available and what is best. …an inspiring gourmet venue focusing on honest, regional produce complemented by wines from over 100 local vignerons. Our interior features a spectacular atrium framed by large historic timber columns from the old Woolloomooloo wharf. …we believe food isn’t just for eating, it’s for sharing. Whether it’s with family, friends or colleagues, food brings people together. That’s why our menu concept has been built upon the foundations of sharing – sharing food, wine and a good old fashioned conversation! …our Head Chef Jeff Young know’s the importance of high quality produce. Using only the freshest ingredients and treating them with respect, our kitchen proudly serves up delicious dishes focused on quality produce. …inspired from a long-term love affair with Santorini, Alatonero offers you a true taste of the Greek Islands without the airfare. Our menu is designed to share with loved ones, from mezze, to larger plates, sides and desserts! Welcome to our Greek table! …our Cellar Door takes you to the heart of the winery, amidst barrels and terracotta amphora. Louise, our Friday to Sunday chatelaine, enriches the tasting experience with her decorative edibles, from the garden and our region. …our striking winery and cellar door was designed by MCG architect Daryl Jackson and completed in 1991. We are open for tastings and wine sales almost every day of the year and there are regular Stonier and regional events held at our Cellar Door. …we feature single vineyard wines and our store is country at its best on the Peninsula. Between rolling hills and beautiful coastline, enjoy fine wine, food, art and produce at this much loved general store inspired by the rustic charm of farm life. …the Peninsulas first commercial winery est. in 1975, our 3 hectare cool climate vineyard of 40 year old vines is situated on gentle north facing slopes of rich volcanic soil. 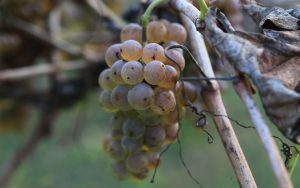 It is perfect for high quality Pinot Noir and Chardonnay viticulture and wine production. …defined by aspect, soil, and toil. Here, wines whisper a vinous vernacular, telling tales of seasons past and the winemaking cast. This is a place to ensconce in, not just see – where crafted curiosities from surrounding farms are best consumed excessively. 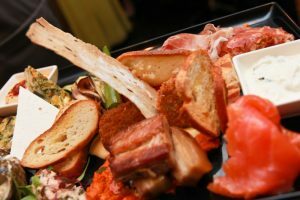 …designed for food and wine lovers Ridge Rider’s Hop On Hop Off Cellar Door and Farm Gate circuit takes you to the regions’ best. With 15 possible venues to visit you will be amazed at the variety and quality of produce as well as the quality of the wines. Book Direct with us to receive the best rates on the internet.